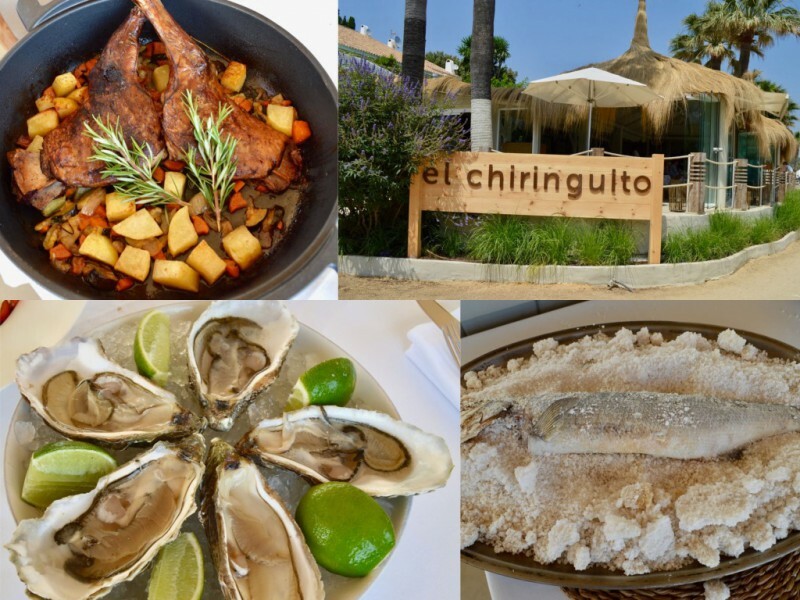 El Chiringuito Marbella opened this summer 2017, and we had the task to review its food and here is what we think. 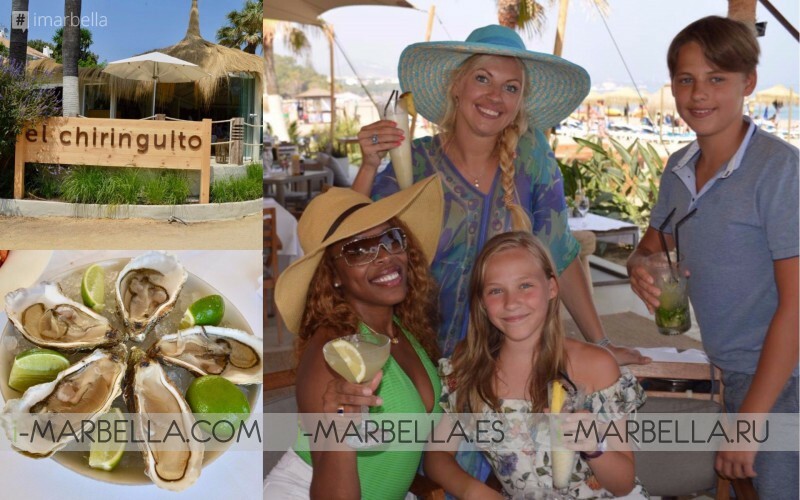 i-marbella.com, the online media company, had the chance to visit El Chiringuito Marbella. 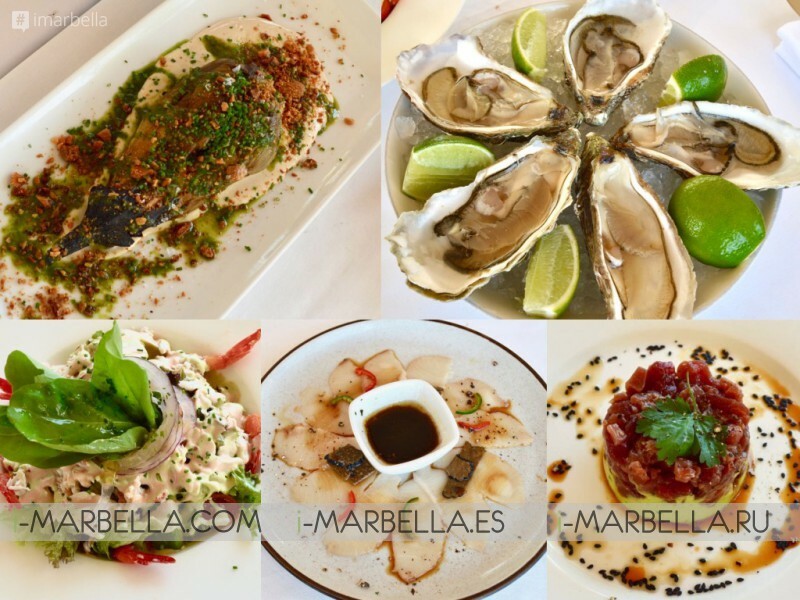 Annika Urm, the owner of the company, with her family and the famous Marbella-Cuban talented singer-composer Yanela Brooks spent a great evening tasting the most delicious dishes that restaurant can offer. We had a fantastic time on Sunday at El Chiringuito in Puente Romano Beach Resort and Spa. We had delicious lunch and tried all different types of starters, main courses, and desserts. The restaurant is known for its great selection of wine and cocktails. The Mediterranean kitchen offers a wide variety of truly authentic El Chiringuito dishes. The menu created by the French chef Jèrome Palayer includes Lobster Risotto, seared tuna fresh from the wood fire grill, sea bass cooked in sea salt crust or Nebraska entrecote. If one prefers, the menu will be served on the beach on its wide sun loungers or under the safari– style tent. Furthermore, the refreshing juices, cocktails, and smoothies are specialties not to be missed, especially during the summer. You can enjoy fresh French oysters as they are shucked at your table while the sommelier brings you a selection of their finest wines to accompany them. A truly authentic El Chiringuito experience would not be complete without selecting from their fresh seafood options. “It is quite simply, perfection by the sea”. The Outstanding starter were fresh oysters, Tuna tartar, fresh fish Carpaccio, vegetarian delish. Definitely a delight for the most demanding palate. The main course can be defined as the best one. All of us had their own favourite Lobster Risotto, Lamb shoulder, and fish. The way they are prepared makes you want to ask for more. 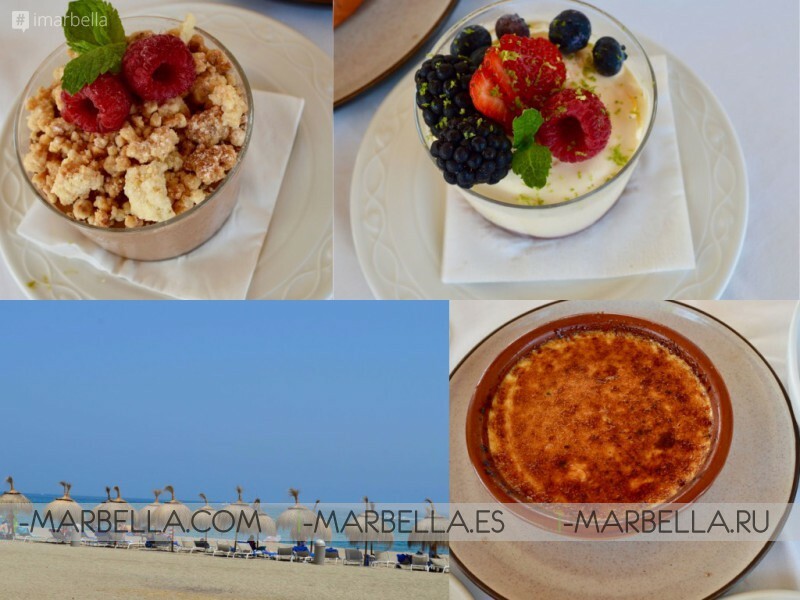 The desserts were a variety of truly authentic El Chiringuito. One of a kind. Our favourite was the classic Crème Brule. This is the place of reference for a day on the beach, lunch or dinner. and cocktails while visiting the beautiful city of Marbella this summer 2017. 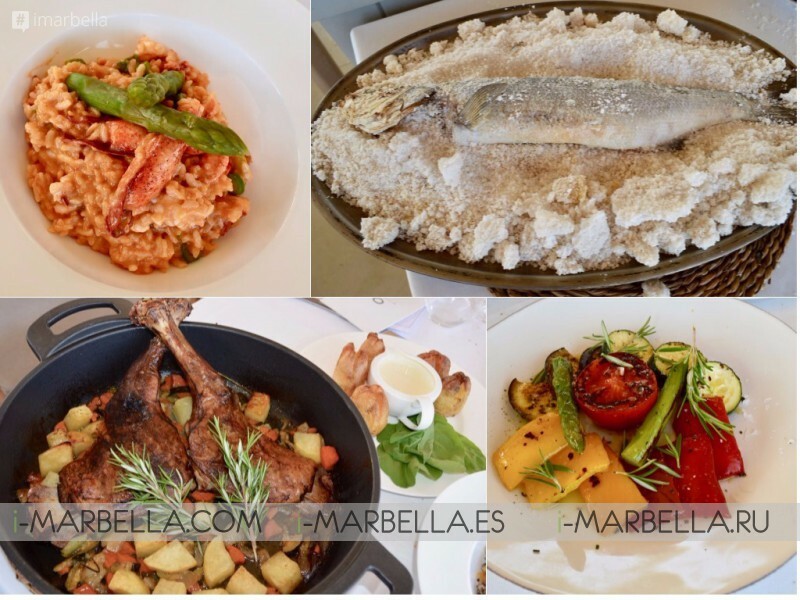 The restaurant is located in Puente Romano Beach resort and Spa on the beach side. The service is unparalleled with a constant attention to detail. The customer is the most important person for El Chiringuito. And they know how to make you feel like home. Its perfect location allows enjoying sea views, tanning on the quiet sun loungers or just watching people while sipping cocktails. Its décor is a relaxing combination of whitewashed wood, spacious sofas and picturesque palm tree paintings, inspiration taken from both - Ibiza and Andalusia. Named ‘Best Resort 2016’ by Condé Nast Traveler Spain readers and located just 45 minutes from Malaga airport by car the luxurious Puente Romano, Marbella, a member of The Leading Hotels of the World, is perfectly situated on the beachfront of the Golden Mile Costa del Sol between Marbella and Puerto Banus. The 245 suites in this Andalusian village-style resort, are spread across 27 three-story buildings each surrounded by lush subtropical gardens and waterfalls, with stunning landscaping reaching all the way down to the Mediterranean Sea. The 55,000m2 resort includes ten restaurants with cuisines from all over the world, including the two Michelin Star ‘Dani Garcia’, the beach front Sea Grill, Nobu Restaurant & Lounge Marbella, as well as an organic restaurant and gluten free restaurant. The resort is also home to Spain’s only Six Senses Spa, which includes a hydrotherapy pool, cold plunge pool, herbal steam room, sauna and Hamman. There’s a wide selection of Six Senses signature treatments and wellness therapies plus locally inspired options that combine herbs and sea salt, olive oil and rich minerals to offer truly Mediterranean experiences. World-class fitness and wellness facilities are located on and around the property, offering activities including tennis, golf, horse-riding, paddle boarding, swimming and yoga and Pilates. Hello, I am Brenda waters After being in relationship with Jeff for years, he broke up with me, I did everything possible to bring him back but all was in vain, I wanted him back so much because of the love I have for him, I begged him with everything, I made promises but he refused. I explained my problem to my friend and she suggested that I should rather contact a spell caster that could help me cast a spell to bring him back but I am the type that never believed in spell, I had no choice than to try it, I mailed the spell caster, and he told me there was no problem that everything will be okay before three days, that my ex will return to me before three days, he cast the spell and surprisingly in the second day, it was around 4pm. My ex called me, I was so surprised, I answered the call and all he said was that he was so sorry for everything that happened that he wanted me to return to him, that he loves me so much. I was so happy and went to him that was how we started living together happily again. Since then, I have made promise that anybody I know that have a relationship problem, I would be of help to such person by referring him or her to the only real and powerful spell caster who helped me with my own problem he used his Africa Black Power. His email: greatosemudiagaspelltemple@gmail.com you can email him if you need his assistance in your relationship or any other Cases.